As Sony shoves one more PlayStation 3 bundle down our throats while we anxiously await the appearance of a slimmed-down version of the console, we have to admit that the game choices here are really top shelf. After catching wind of the Killzone 2 / Metal Gear Sold 4 PS3 bundle yesterday, we now have all the confirmation we need to believe that such a bundle is indeed filtering out to Best Buy stores. The image above shows an internal memo sent out to alert employees that the new package could start arriving as early as July 6th, with the official announcement coming in the July 12th ad. 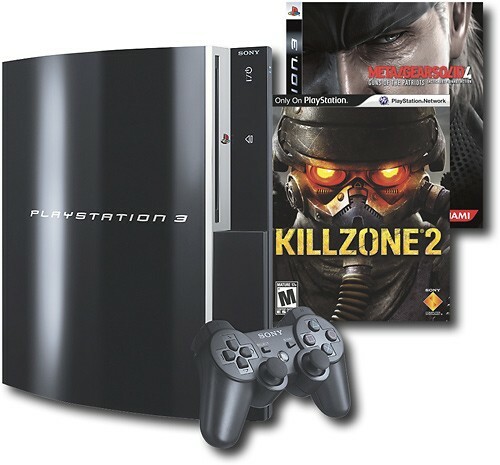 If you're actually in the market for a non-discounted, thick PS3, we'd say a phone call or two is in order, no? Update: The $399.99 bundle is now live on Best Buy's website and available for in-store pickup in select locations.